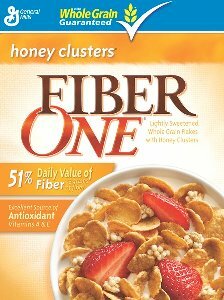 I've been a fan of Fiber One products since I learned what fiber can do for the body. I love the Fiber One bars and the cereal the most! MyBlogSpark gave me the opportunity to review the improved taste of Fiber One items and now it's time for the review and giveaway! With guilt-free and indulgent choices that now taste even better than before, Fiber One helps make it easier than ever to increase your daily intake while leaving your taste buds jumping for joy. When hunger strikes and you need to satisfy your sweet tooth, Fiber One has you covered with at least 35% of your daily value of fiber in every serving of their cereals and bars. Check out the great new taste of three Fiber One favorites. Your Fiber One favorites, including Fiber One Honey Clusters, Fiber One Raisin Bran Clusters, and Fiber One Oats & Chocolate Chewy Bars are all available at your local Safeway family of stores, so be sure to stop by your local Safeway (or Dominick’s, Tom Thumb, Randalls, Vons, and Genuardi’s) to try the great new taste of Fiber One today! I really love the improved taste of the Oats and Chocolate bars that I tried, as well as the Honey Clusters cereal! I've always been a big fan of both of these products and now they are yummier than ever! I know that this giveaway is being posted at the same time that A Simple Shindig starts... but alas, this is not applicable to that promotion. Sorry! Residents of US and Canada aged 18 and over are eligible to enter this giveaway. Winners will be announced here and via email. This giveaway ends on November 29th at midnight EST. Disclaimer: I was sent coupons for the free products as well as a $25 gift card to Safeway as named above to review by Fiber One through MyBlogSpark. The opinions expressed above are solely my own and yours may differ. Receiving a product will NEVER influence what I write in any review. I would like to try the Oats & Chocolate bars. I'm following you on Twitter (@kristisdeals1). I would like to try the fiber one bars. I'd like to try the Honey Clusters. Honey Clusters is what I would like to try. 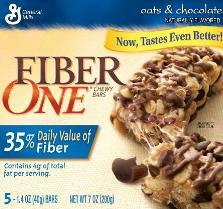 I'd love to try the oats & chocolate chip fiber one bars. I would like to try their dark chocolate almond fiber one bars. I would like to try the Honey Clusters cereal! We would like to try the oat chocolate chip granola bars! I'd like to try the Oats & Chocolate bar. Thanks! I'd like to try the Honey Clusters cereal the most! I would love the Oats & Chocolate bars the most! I gotta be honest as a sweet tooth, I'd most like to try the Fiber One Oats & Chocolate chewy bars! Hi, Angie. I also entered your Holiday Gift Guide: GotFreeCards.com giveaway. I also entered your Tropical Traditions Raw Honey giveaway. Would love to try the Oats & Chocolate bars! I have your button on my bloggy! I'd like to try the chocolate mocha bars. I entered the gotfreecards giveaway. i'd like to try the oats and caramel bars!